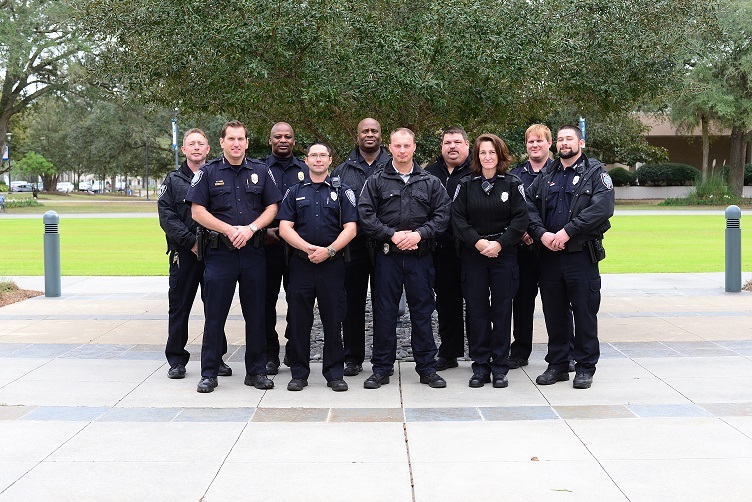 The College of Coastal Georgia Police Department provides law enforcement services to both the Brunswick and Camden campuses. We are a full service police department currently staffing a dozen, full time state certified officers and several part time officers from surrounding agencies. We operate 24/7, 365 days a year. We respond to all calls for police service to include reports of theft, violence, motor vehicle collisions and escorts. We even offer a vehicle unlock and battery jump start service free of charge. To ensure the best service possible, our officers are sent all over the state for training on a variety of topics to include criminal investigations, interview techniques, crisis intervention team, active shooter and mass casualty response, domestic violence and instructor training. Training and education are paramount in our department. We work closely with many local law enforcement agencies to achieve our goal. Our officers are friendly and approachable and enjoy interacting with the community. For more information and updates, follow us on Facebook!